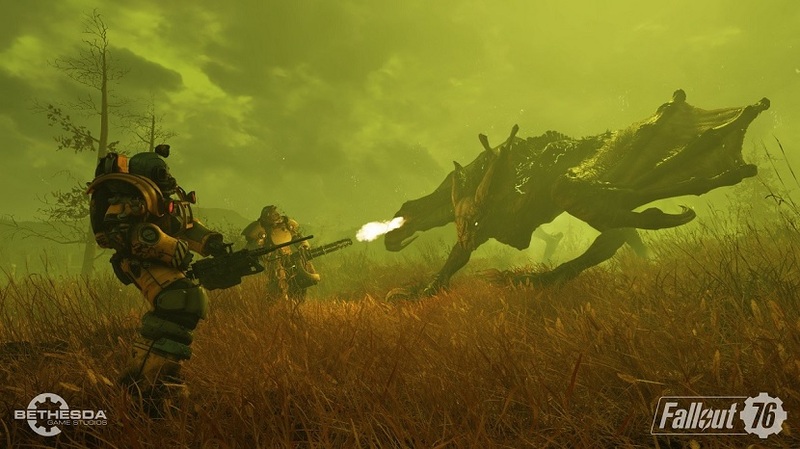 Fallout 76 Patch 8 is scheduled to go live on Monday, April 8th, but Bethesda is already offering a sneak preview of what’s coming in the weeks following the update. The developer, who recently indicated that Fallout 76 did very well despite development difficulties, has detailed a new camera, dungeon, and repair kits. Fallout 76‘s new camera can be equipped like a weapon, allowing players to quickly take photos of the Appalachian scenery. The camera can be modded to add lenses, and comes with a quest and challenges. More details will be revealed in due course. The Burrows will be Fallout 76‘s first dungeon experience, and will go live on April 16th. “Muster your squad and follow in the footsteps of the Brotherhood of Steel who sent their own forces into the darkness and muck below Harper’s Ferry for mysterious reasons,” wrote Bethesda. Basic Repair Kits are single-use consumables that immediately restore one of the items in your inventory to 100% condition. So long as you have a Repair Kit in your inventory, you can use it to fix up a piece of gear anytime, anywhere, and without spending any of your own crafting materials. Once you’ve got a Repair Kit, open your Pip-boy to find an item you want to repair, hit “Inspect”, select the new “Repair Kit” option, and then leap right back into the action. You can also use Repair Kits at any workbench in your C.A.M.P., at Workshops, or those you find in the world. Basic Repair Kits will be unlockable in the Atomic Shop using Atoms you’ve purchased or those you’ve earned for free by completing in-game challenges. You can use Improved Repair Kits in all the same ways as Basic Repair Kits and they are also single-use consumables. However, Improved Kits buff the selected item’s condition up to 150%, giving it an even longer lifespan against the trials of Wasteland combat. Improved Repair Kits are rare items that we plan to award to you for free as you take on various types of in-game content. As an example, you will receive them as loot when you take down the Scorchbeast Queen. We’ll update our readers when we have more details. For more on Fallout 76, check out our hub.